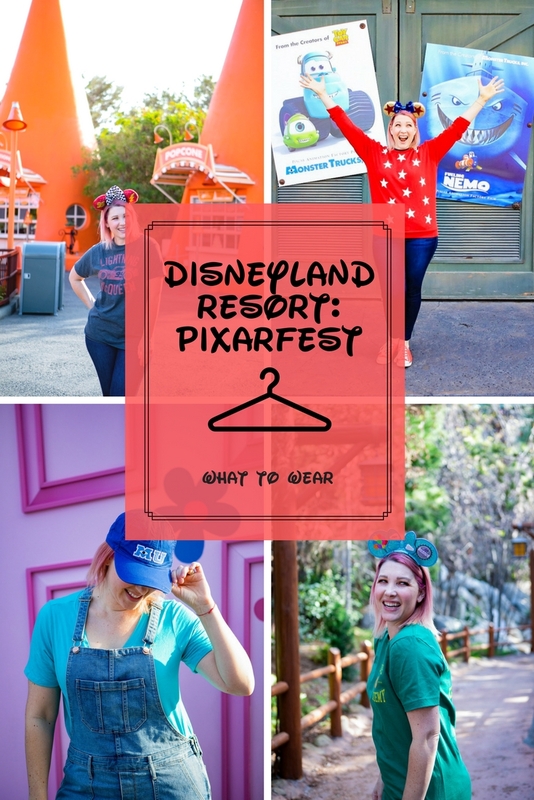 Looking for the perfect Disneyland outfits to wear to Pixarfest? 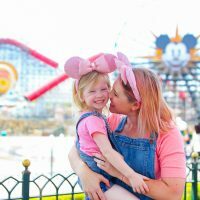 I'm breaking down what to wear to Disneyland Pixarfest by movie, and sharing my must haves for fun days at this summer's celebration! 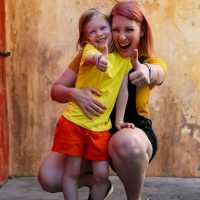 Ok, let's talk Pixarfest. This fun celebration is in full swing at both Disneyland and Disney California Adventure. 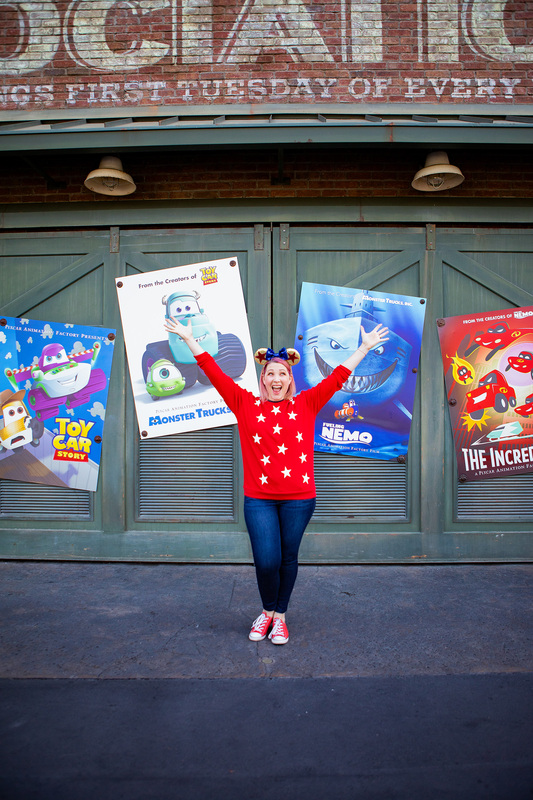 If you follow along on Instagram, then you know I attended the Pixarfest media preview……and got some pretty amazing sneak peeks at everything Pixarfest. 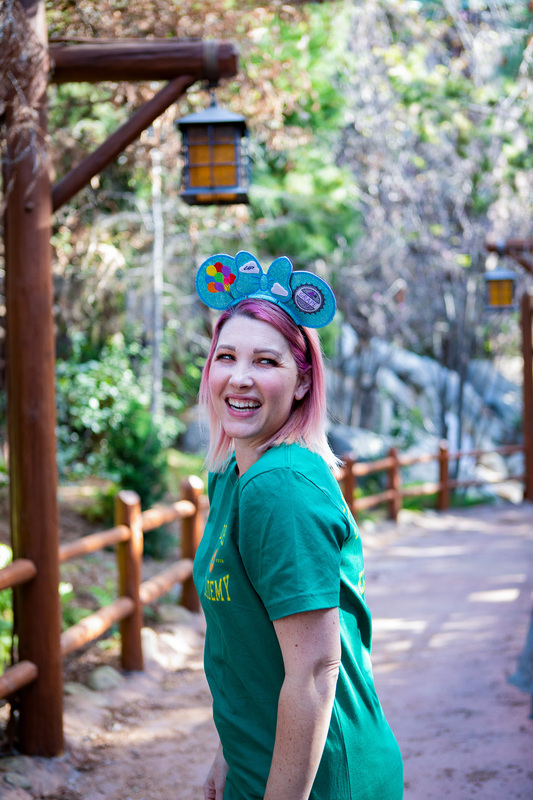 As I shared in real time from the Disneyland Resort…..I got message after message asking about the different ears I was wearing. 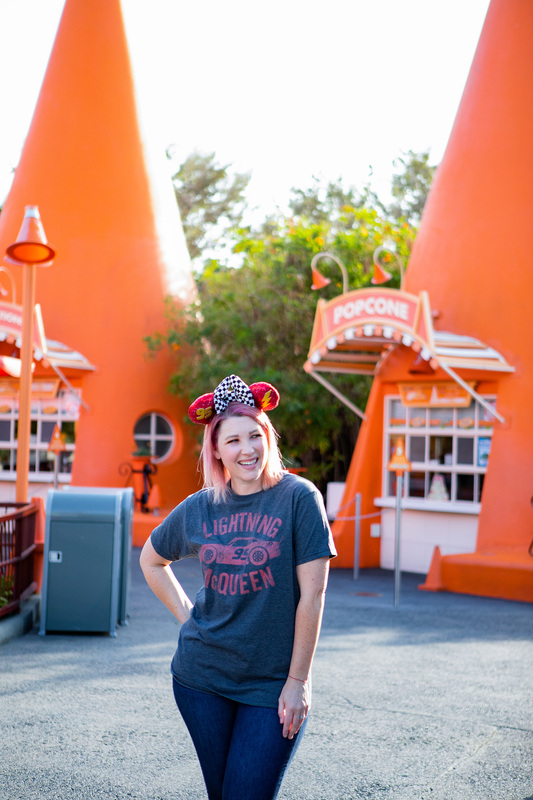 I have to admit, one of my favorite parts of my Pixarfest visit…..was putting together Disneyland Outfits specifically for Pixarfest. 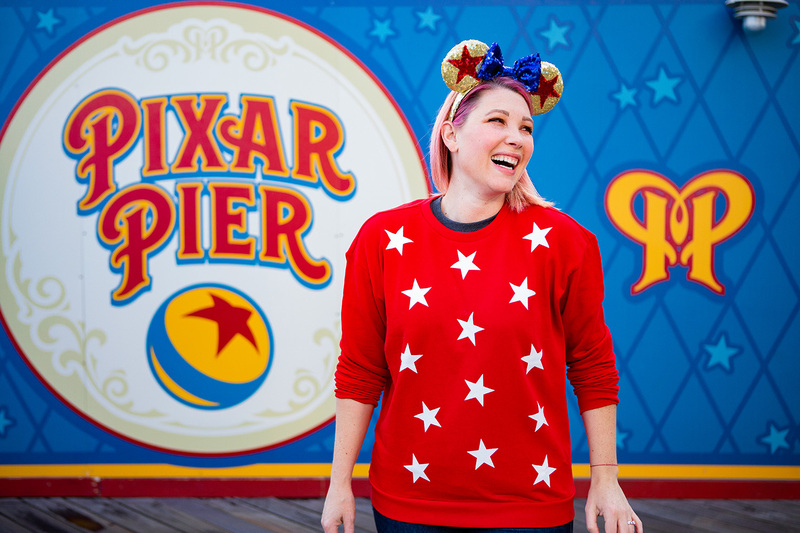 If you're heading to Pixarfest…….I've rounded up four must wear Disneyland outfits. 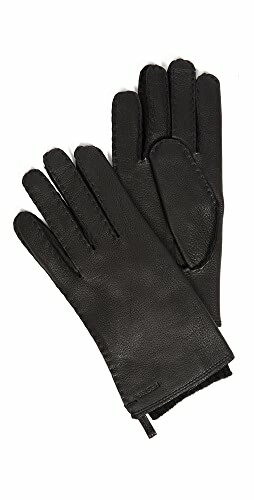 I can guarantee they'll help you celebrate everything you love about Pixar and Disney and that they're comfortable enough to survive a full day at the park (key, right?). Don't forget, Pixarfest lasts all summer until September 3rd. It includes amazing parades, the BEST fireworks extravaganza I've ever seen, and some pretty delicious food. For more info on Pixarfest, check out our Ultimate Guide to Pixarfest (we share must eats, must buys and must sees)! 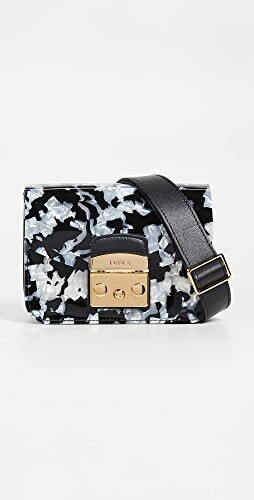 For each outfit, I wore easily layered clothes. We all know that the weather at Disneyland can vary and I wanted to be able to add sweatshirts or switch to shorts as needed. 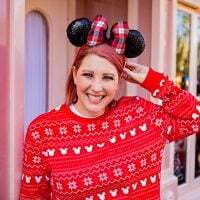 If you're looking for more info on what type of Disneyland Outfits to wear by season……check out my Disneyland Outfits for each season blog post, it will help you decide what to pack if you're coming from out of town! You can't plan Disneyland Outfits for Pixarfest without paying tribute to the famous Pixar ball. I love the bright colors in this outfit…….and the star sweatshirt? 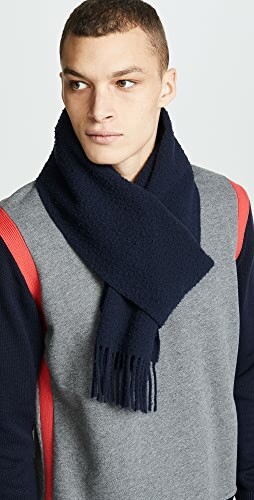 The perfect park layering piece. I wore jeans, since this was during a cooler morning. You could easily wear jean shorts and a red tee, layering this sweatshirt over both and taking it off as the day warms up. 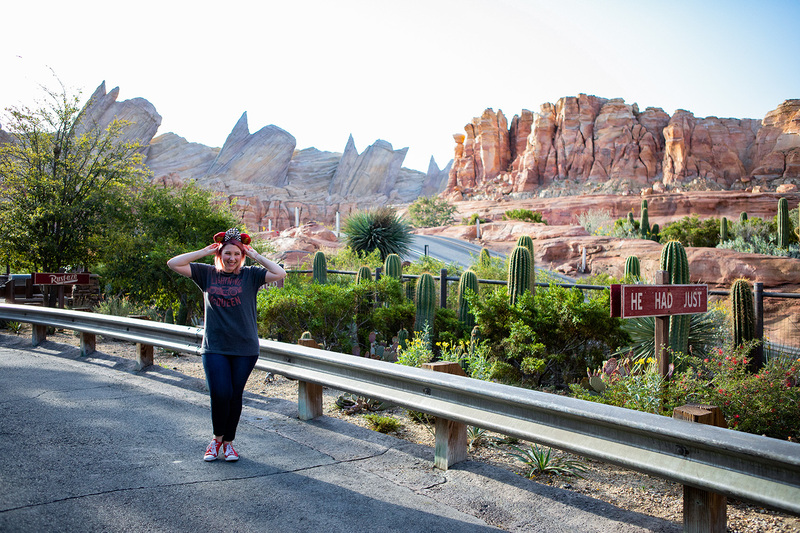 Anyone else OBSESSED with Carsland? It may very well be my favorite place inside of California Adventure. 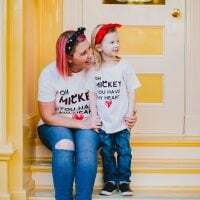 This comfortable outfit is perfect for longer days at the park…..and my Lightening McQueen tee? 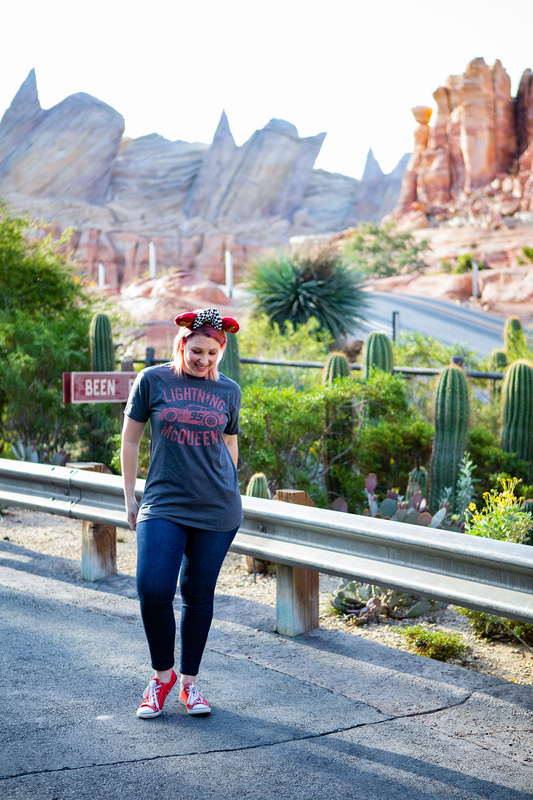 My husband totally stole it when I got home…..so it's perfect for a full family Disneyland outfit! 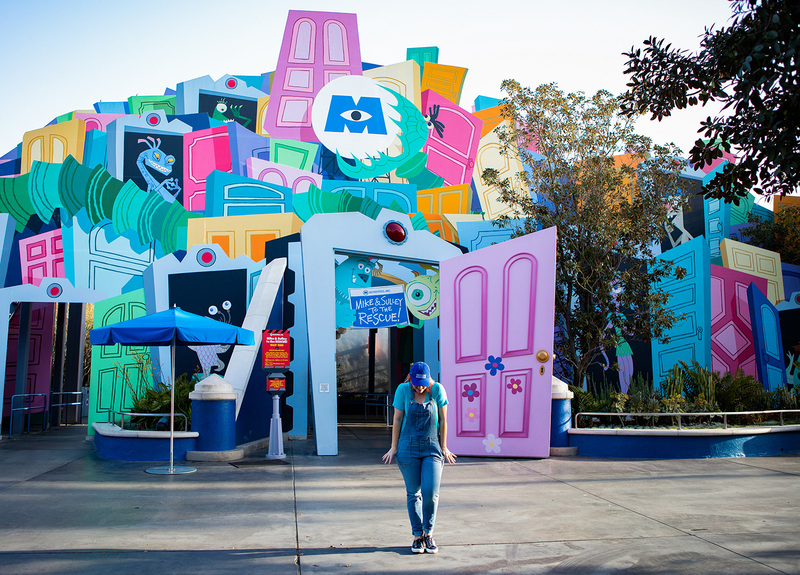 Fair warning…..if you'd like to take pictures in front of the Monsters, Inc ride…..get there EARLY. 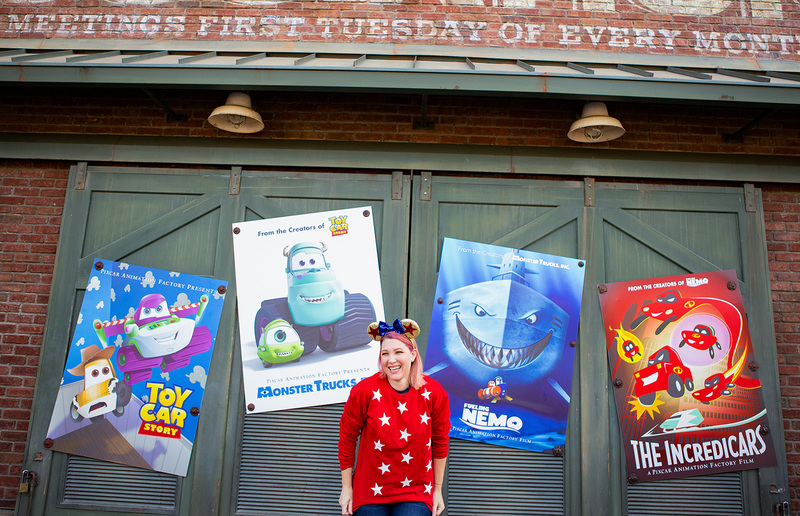 Boo's adorable door is one of the most popular spots in California Adventure to take pictures. Luckily, we stopped here FIRST…..and it was wide open. I wanted to wear a comfy and casual Monster's University themed outfit to start our day at Pixarfest. 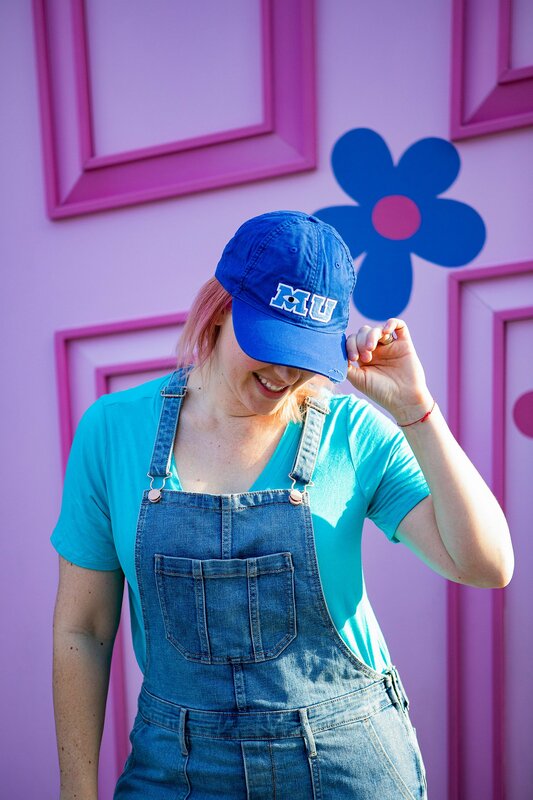 I swear, these overalls are the BEST for Disney days……and my Monster's University hat? 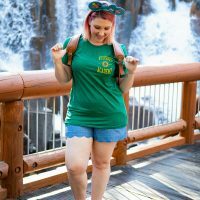 The easiest way to add a little Disney flair to a basic outfit. I know, even the outfit makes you tear up right? I'm Up Obsessed…..we actually rewatched it the night I got home from Pixarfest, and Lydia loved it too. 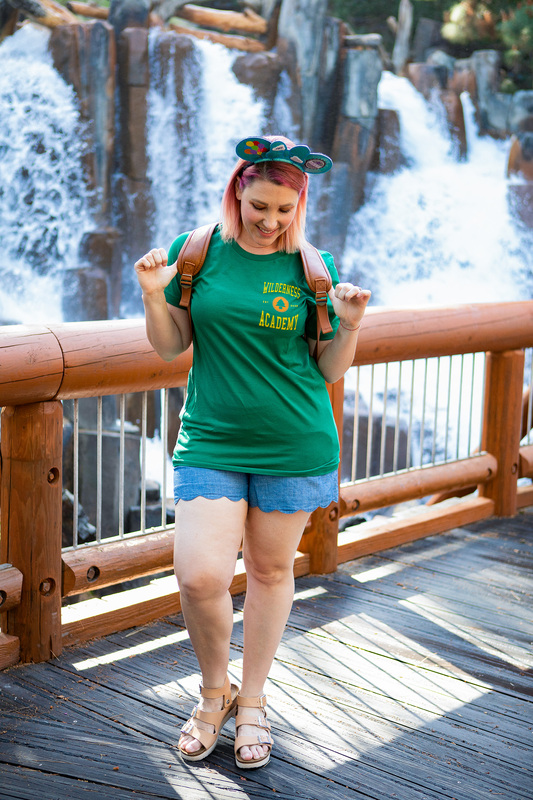 I couldn't resist snapping pictures in my Up ears and Wilderness explorers tee in front of the water fall inside of Grizzly Peak (I could just imagine the Up house floating by)! 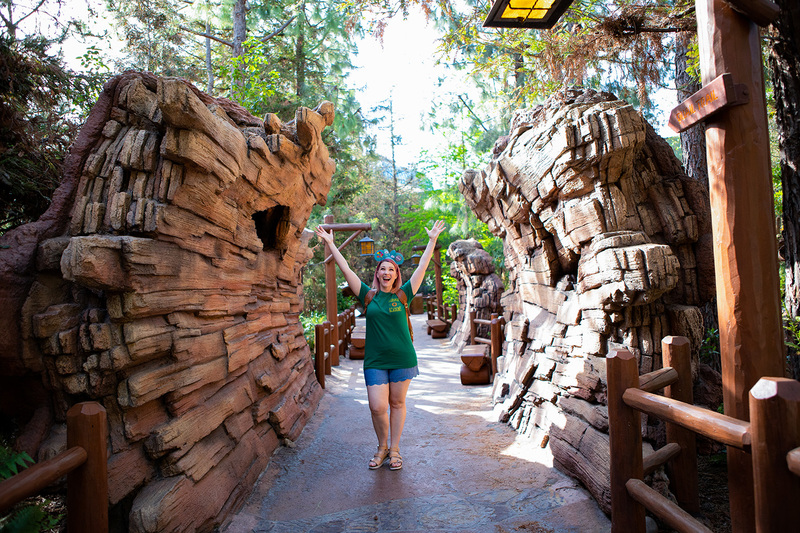 Are you planning a trip to Disneyland for Pixarfest? What Disneyland outfits will you be wearing? 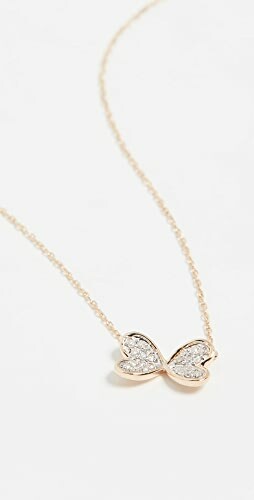 Shop Embroidered, Sweaters And Cardigans, Sleeveless Dresses, Camis And Tanks and more. Get this widget.